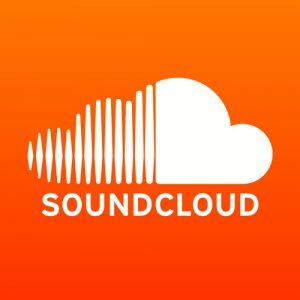 Featured Opinion Piece: SoundCloud… And its Uncertain Future. By this point, it’s old news that SoundCloud is in the seller’s market — the company has been eyeing a sale at a purported value of roughly $1B since July of this year, but rumblings of a potential deal had emerged long before that. The decline of the German streaming giant has been well-documented; in short, bigger players like Apple Music, Google Play, and Spotify have greatly eroded its market share and influence. And these platforms have also proven far more successful at monetization, something SoundCloud has always struggled with. However, what was once considered pure speculation has now become a real and imminent possibility, with the announcement last week that SoundCloud is in advanced transactional talks with Swedish rival Spotify. For all its flaws, SoundCloud remains the number one platform for unsigned and underground artists, given both its ease of use — unlike Spotify, as an example, no distributors or labels are needed to release music — and simple but innovative features which bridge the gap between artists and fans (e.g., comments and inboxing). While the platform has brought innumerable artists from the underground to the forefront of the music industry, it’s currently one that is shrouded in uncertainty. And for many artists whose sole substantial fanbase and following is on SoundCloud (as opposed to Spotify or iTunes, even Facebook or Twitter), this is quite worrying. That said, perhaps it’s not all doom and gloom as some have suggested — many experts predict SoundCloud will live on, perhaps even grow and thrive, following a sale. In any case, in the face of this uncertainty, artists should be looking to diversify right now and hedge their risk. 1. Upload music on Spotify/iTunes/Apple Music etc: For those unaware, artists must typically upload to these platforms through a distributor, or a label which acts as its own distributor. Many distributors offer all-in-one bundles that allow for unlimited uploads to all of the above-mentioned major streaming platforms and myriad others. (For instance, DistroKid has plans starting at $12.99/artist/year which allow for unlimited uploads.) This step is easier and cheaper than many think, and it’s of utmost importance. Apart from increasing your reach and allowing fans to listen to you on their platform of choice, this is also a great way to monetize on a pay-per-stream or pay-per-download basis! 2. Offer valuable and varied content: Artists should incent fans to follow them on all major platforms; this can be accomplished in offering something different and engaging on each platform. For example, Facebook can be reserved for major announcements, production feedback and other live streams; Instagram can showcase the artist’s visual branding and highlight their personality; Twitter can be a place to make witty remarks, post dank memes, and so on. This allows artists to grow their following on every single channel. Creative campaigns can also help with this; for example, ToneDen, the like-to-download gate, offers contests which give fans points (and thus increase their likelihood of winning) for following various social media accounts. For a deeper dive on these concepts, check out Budi Voogt’s (Founder of Heroic Records and Manager for San Holo and WRLD, among others) thoughts here! 3. 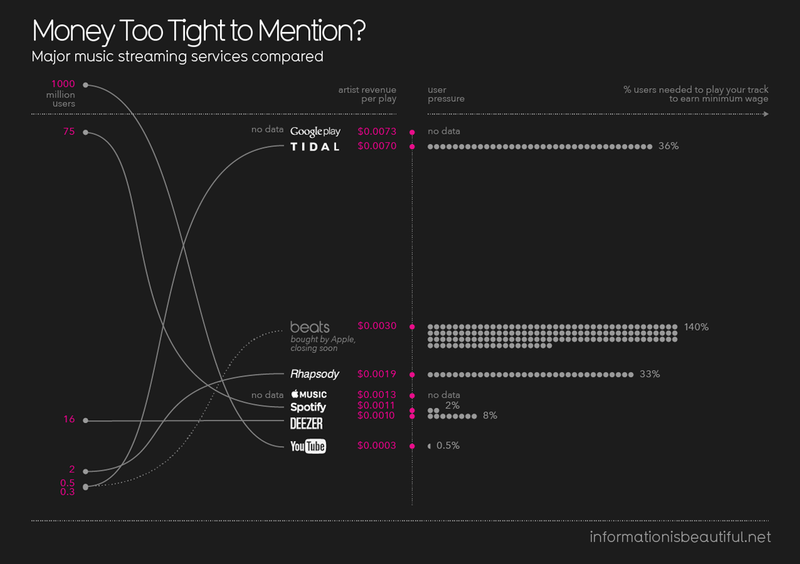 Make use of under-utilized platforms: Many artists entirely neglect some of the most relevant platforms for musicians in 2016. YouTube, for instance, represents an enormous market for music fans — either uploading to promotion channels, or even one’s own account, can help to generate enormous traction, and again monetize. Snapchat is another great example of an underused platform — give fans a more personal view into your life, and engage with them on a daily basis here. Finally, websites and mailing lists are tremendously powerful in capturing the attention of your fans and engaging with them on a regular basis. One thing to emphasize is the concept of online real estate. Twitter, Facebook, and so on – these sites are borrowed real estate because content creators have no control over the platform itself. Websites and mailings lists, on the other hand, are owned real estate — these are platforms over which you have total control. Artists should ideally optimize their use of both owned and borrowed real estate; there’s a balancing act here, but both are equally important. 4. Get representation: Navigating the business side of things can be a chore — there can be a steep learning curve at times, and any time spent on marketing, for example, could otherwise be spent on that which really matters: making music. One major misconception that exists among fledgling artists is the notion that managers need to be seasoned industry professionals; these are pretty tough to find. Instead, try to identify friends with business savvy who are invested in you, strongly believe in your music, and may be interested in helping to tackle anything from blog and tastemaker pitching to visual branding. 5. Create a personal brand, then engage with fans: In creating Facebook, Twitter, Instagram, and other social media accounts, artists should create an online personality for themselves through interesting and consistent visuals, sounds, and content cross-platform. This varies radically from person to person, so artists are by no means confined by industry conventions; in fact, quite the opposite — artists should find something that makes them unique. Having accomplished this, artists should endeavour to build relationships with fans and other artists by maintaining dialogue with others on all social media platforms. Ultimately, create a buzz; be yourself. We live in a so-called attention economy — in 2016, to succeed in the music business, one must constantly stay relevant. This starts with first defining one’s brand, then growing it. 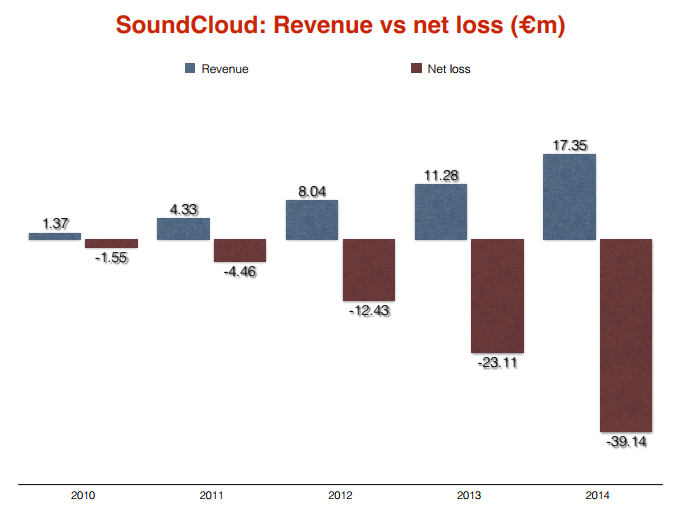 SoundCloud may well continue to grow. Or it may be on its way out. Either way, make sure you’re positioned to succeed by following these steps. Share with a friend, and leave your thoughts in the comments below! And be sure to sign up for our email newsletter for more exclusive content!